School’s out for the summer! Summer days are filled with days at the beach, fun at the park, camping and dips in the pool. While summer days are wonderful for the entire family, some of the things we love about summertime are potentially dangerous. 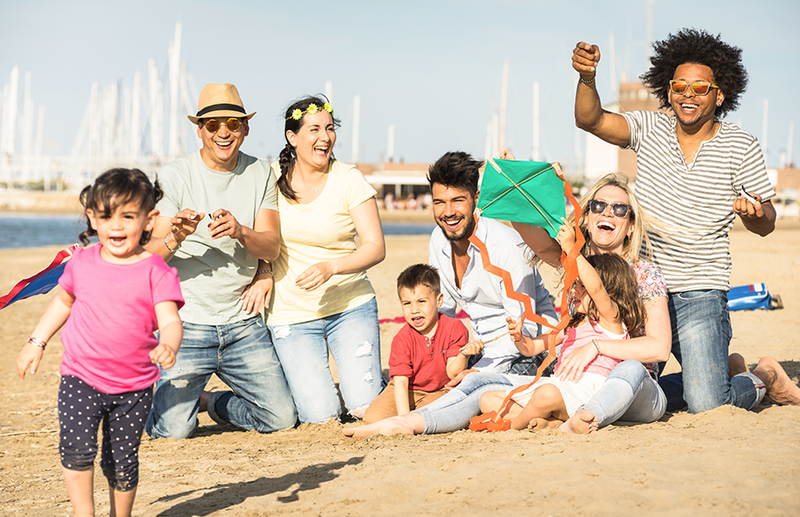 Here are some tips to help your family enjoy summer safely. During childhood and adolescence, protection from ultraviolet (UV) exposure reduces the risk for skin cancer in adulthood. For kids six months and older (as well as adults), sunscreen with a sun protection factor (SPF) of 30 or greater reduces the intensity of UV exposure that cause sunburns. Apply sunscreen liberally 30 minutes before sun exposure to ensure the skin absorbs the sunscreen and will reduce the likelihood that it will be washed off. Reapply every two hours and after kids swim, sweat or dry off with a towel. Have your kids wear a hat with a brim all the way around that shades their face, ears, and the back of the neck. Infants under six-months-old should be kept out of direct sunlight. Remind teens that tanning can increase skin cancer risk, and leads to wrinkles, blemishes and age spots later in life. California law requires that anyone under 18-years-old wear an approved helmet when riding a bicycle, scooter or skateboard. The Consumer Product Safety Commission (CPSC) and ASTM International, a global standards development organization, test helmets to see if they comply with certain minimum standards. Look for one of their certifications on a product you’re considering purchasing for your child to ensure additional safety. An injury to the head can be devastating and life changing – always wear a helmet. Among children ages 1-14, fatal drowning remains the second-leading cause of unintentional injury-related death, behind motor vehicle crashes, according to 2016 statistics from the Centers for Disease Control. Children need a designated chaperone when playing in the water. Formal swimming lessons reduce the risk of drowning. Yet even when children have had formal swimming lessons, constant supervision and barriers, such as pool fencing to prevent unsupervised access, are still important. Never leave a child in the water without adult supervision. Also, at no time should you consider that a flotation device will protect or save your child if you step away or are distracted, even for a moment. To learn more about injury prevention, visit millerchildrens.org/InjuryPrevention.